This weekend I played classical music in a flute trio representing the Boulder Symphony. We played for a partner of the symphony, the Design Studio in Niwot, Colorado. I was charmed with Niwot's original old west style 2nd Ave. which I believe was their main street. The Design Studio was hosting their grand opening and it was quite a classy event. In addition to our live music, there was beautiful original art displayed throughout the store and a large variety of specialty food and drinks. Our flute trio had a wonderful time playing for this wedding ceremony on a beautiful, sunny, blustery day on the Vail Wedding Deck. The sunflowers and the still-green hills made a glorious backdrop for the bride and groom. Our trio played classical prelude music as the guests arrived. The only song that the bride specifically requested was the "Bridal Chorus" by Wagner, with the melody played on the violin. Our viola player was very flexible and brought her violin along in addition to her viola. Half the time during the prelude and cocktail hour, she accompanied on viola, and half the time, she played the melody on violin. This switching around was actually a really nice change for us musicians and I think that the guests enjoyed the variety in sound. After the ceremony, we went back down the gondola to the Four Seasons Hotel in Vail. The cocktail reception was held on the elegant Flame Deck of the Marriott Four Seasons. We played classical music there for another hour as the guests enjoyed the food. 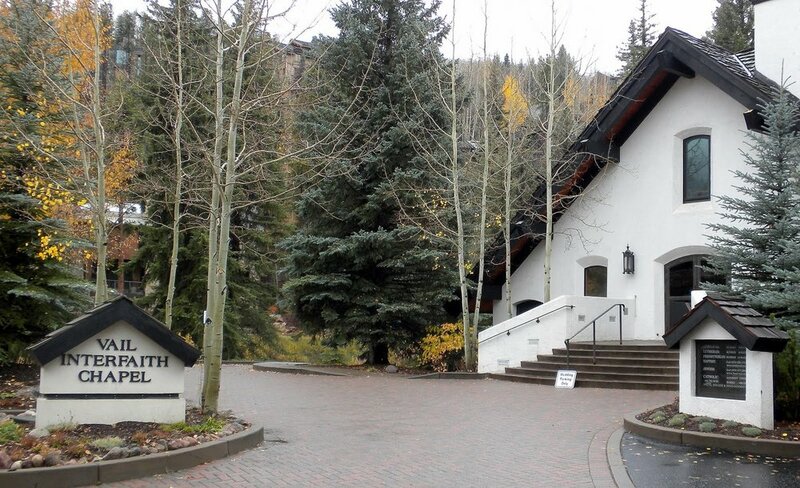 Our flute trio (flute, viola, cello) played for this elegant wedding ceremony at Cordillera Lodge in Edwards, Colorado recently. The weather turned out perfectly with lots of lovely sunshine and a cool breeze that felt wonderful. The bride chose contemporary and popular music for her prelude, and I arranged "Reign of Love" for our trio to play as she walked down the aisle. The young flower girl was brought down in a flower covered wagon which was a brilliant idea and very sweet. It's always nice to travel from the hot summer weather of Colorado's front range to the mountains, and this time our destination was the town of Silverthorne, where it was a sunny 70 degrees. This wedding was held at the Silverthorne Pavilion which is located by the banks of the Blue River. Our flute, viola, and cello trio played classical prelude music and then traditional wedding processional music that the bride and groom selected together. The wedding ceremony was very sweet and as the couple said the vows they had written for each other, we tried to hold back our tears. Sometimes it doesn't make a difference how many weddings we have played for - each one is beautiful and unique! After the ceremony, we moved to the shaded patio where we played a mix of classical and popular music as the guests enjoyed appetizers and drinks. The bride and groom had several song requests for their cocktail hour music and I put together the remainder of our set list using those songs as my inspiration. 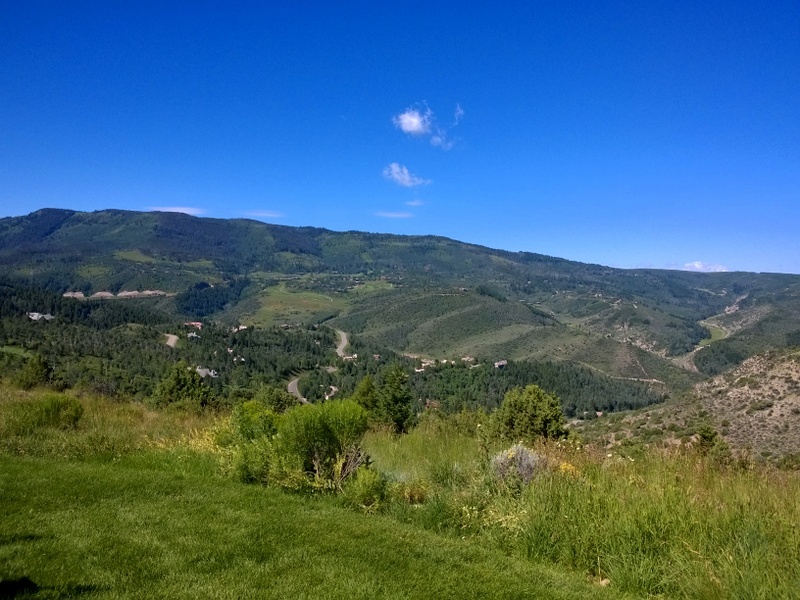 Recently, we enjoyed spectacular views from the Lodge and Spa at Cordillera in Edwards, Colorado. This very busy bride asked us to select her wedding ceremony music for her, and we took care of everything so she could focus on getting married. With severe thunderstorms the previous day, everything had to be moved indoors, and rain continued to threaten on the wedding day. However, the following afternoon the sun came out and the bride had her beautiful outdoor wedding after all. Our trio serenaded the guests with classical music as they came to their seats and then we played for the ceremony. Afterwards, we moved down to the pool area where we played classical music for the cocktail hour. I had a wonderful time these past two weeks playing music for for Sotheby's Realty, a sponsor of the Boulder Symphony Orchestra. Other members of the symphony joined me to form a flute, viola, and cello trio. Our first performance was at Sotheby's Realty where they held an elegant Boulder Symphony fundraising event. The event was a great success and I want to thank everyone who gives our symphony support - you truly make a difference! The second performance was at one of Sotheby's open houses, where we played as potential buyers toured the home. Our music carried very well in this house because it was large and open, and our classical music complimented the classical overtones in the home. We also had spectacular views! This home was situated at the end of a road in the hills above Boulder and was surrounded by open space. From there, we could clearly see Boulder right below us, north to Long's Peak, and south all the way to Pikes' Peak. I loved playing in this beautiful location and was fascinated to finally see what it's like in the Boulder foothills. I love playing in situations where I can interact with our audience and this was certainly one of those times. Our music was well received and the Realtor showing the home was warm and friendly. A short while ago, I drove south of Denver to play music for a wedding ceremony and reception in the small town of Sedalia, the home of Gabriel's Northern Italian Restaurant. Gabriel's is a darling Victorian restaurant with a wraparound porch, gardens, and a large stone patio perfectly sized for events and wedding ceremonies. 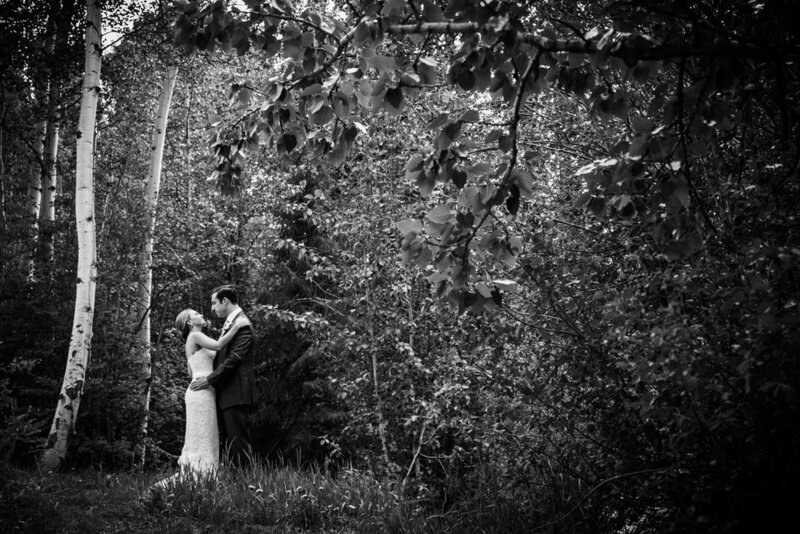 This wedding was to be held in the garden area accompanied by our flute, violin, and cello trio. This was a beautiful outdoor wedding and everyone enjoyed the sunny day that wasn't too hot. This wedding, as with all outdoor weddings, offered a few complications. As we played the prelude music, I had a run-in with a horsefly who kept giving me painful bites on my legs. I knew the music had to go on and I kept playing as smoothly as I could until he finally got bored with me right around the time the ceremony began. However, just as the minister asked the couple to repeat their vows, we heard a very loud, long whistle and a train went roaring by, right behind the guests, and for several moments, it was impossible to hear anything. The minister made a few false starts which were interrupted by more whistles but the couple took it all in stride, and after a good-natured laugh and a little bit of waiting, the ceremony went on and they were married. We then played a lively recessional and transitioned into more upbeat classical music during the outdoor reception. It's time to go traditional, and I am pleased to announce that you can now hire a string quartet or a string trio right here through my website. String music will add a touch of elegance and class to your wedding ceremony, cocktail hour, or your special event. The formal sound and appearance of stringed instruments make them a very popular choice for brides. If you would like to hire a quartet or a trio but want a more unique and varied sound, you can replace the first violin with the flute. The flute has a smooth sound that contrasts beautifully with that of stringed instruments. If you are planning a Christmas party this year, what better way to add to the festive atmosphere than live Christmas music ? All of our ensembles have a large Christmas repertoire. This is the time of year when December dates begin filling up, so book soon to ensure our availability.